Trust is a fundamental component of the doctor-patient relationship. A patient enters your office vulnerable, weak or sick from a medical ailment, and relies on you to provide a remedy. This same philosophy also holds true to the experience they share with you on your medical website. Whether it is a patient's first experience on your website entering private medical information or a loyal patient purchasing his monthly supplement regimen from your online store, a secure medical website is crucial to maintaining the same trust and professionalism you provide in your office. The internet is designed for information sharing, creating a complex web of interactions. Information of all types can go through many servers and networks before reaching its intended destination. Any one of these networks has the potential to intercept information if the data is not adequately protected on its journey. Security experts say cyber criminals place more value on a person's medical information than credit card information. 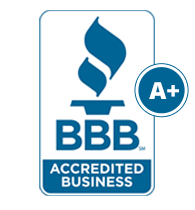 They use this information to buy medical equipment or drugs for resale and to create false insurance claims. SSL (Secure Sockets Layer) is a protective measure that encrypts data from your medical website to the hosting server to ensure privacy and safekeeping. Banking institutions, online stores and even social media sites use SSL to protect their users' information. So why does SSL matter to you and your medical website? Below are the top 5 mission-critical benefits that SSL provides to your medical practice. A “Contact Us” form is a staple element of most medical websites (and should be part of yours if it is not already). Patients like the ease of access and the effortlessness of making an appointment with you online. Typically, contact forms contain fields to fill in name, phone number and email address. A more popular choice in recent years is to add a comment section where a patient can list the reason an appointment is requested or the symptoms and concerns of a potential illness. HIPAA considers this text Protected Health Information (PHI) and as such requires the holder of this information, you, to uphold rigid privacy and data security standards. 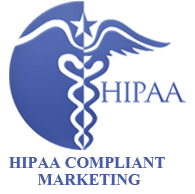 The first step to get your medical website closer to HIPAA compliance is to encrypt any submitted form data with SSL technology. SSL encrypts the data traveling through the internet between your visitor's browser and your website server. It also authenticates the receiving server to verify its identity. By encrypting the data with SSL, you ensure that even if the data is captured on its way to the server by anyone, it cannot be decrypted and read without a proper key. Without SSL, your patients' data would be transmitted over public networks as clear text – easy to capture, read and use in a malicious way by hackers. Failure to comply with HIPAA can result in civil and criminal penalties based on the level of negligence (i.e. the fines increase with the number of patients affected by a data breach). Using SSL to protect your patients' information and your practice is inexpensive and it is your first step to a HIPAA-compliant website. Throughout the better part of the last decade, the healthcare industry has taken a hit when it comes to the trust levels patients have with their providers. No longer are patients willing to blindly trust doctors; patients now take more active roles in their health with medical information readily available online. It has now become the role of the healthcare provider to decipher fact from fiction of these preconceived notions, reinstating the belief that the doctor does know best and, therefore, should be trusted. If a patient's information is compromised through a data breach on your website, that same trust you worked so hard to build can quickly dissolve. To add fuel to the fire, the data taken from your website can be used to attempt to access other websites. Because patients habitually use the same information for your website that they use for online banking and their favorite retail store, the hacker will now have access to personal and private information on all of these websites. Modern patients are very tech savvy and will take notice of your website's lack of data privacy and security. Using an SSL certificate to encrypt your website data transmission will help you inspire confidence in your website visitors and build that crucial patient trust. While a website plays a critical role in ongoing patient retention, many medical professionals create a website with the purpose of acquiring new patients. In order to maximize your return-on-investment and increase the conversion of website visitors to office visits, your website must display that crucial trust-building indicator of security – the green or yellow padlock. Most patients report they will check for an SSL security icon or a security verification seal on the homepage, before they submit personal information through a website. If your website fails to provide this basic level of protection and security, your visitors are likely to click over to your competition instead of requesting an appointment with you. SSL is an inexpensive approach to increasing website conversion rates. If patients see the familiar signs of security on your website, the padlock icon and the 'https' in the address bar, they are more likely to fill out and submit your appointment request form. 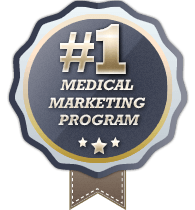 As a business, there will be opportunities to sell products you recommend for patients on your website, or perhaps it is already a prospering part of your business model. An online store alleviates the need for a patient to return to the office for a routine item. It also prevents patients from taking their business to an online retailer like Amazon where you often cannot trust the authenticity or quality of the product. The Payment Card Industry Data Security Standard (PCI-DSS) provides a guideline for businesses that handle branded credit cards including Visa, MasterCard, American Express and Discover. They help merchants of all sizes implement security policies and online processes to protect breaches and cardholder data theft. Part of the PCI-DSS mandates the use of SSL on e-commerce sites. SSL encrypts credit card information as it is sent to a processing server the same way it encrypts patient information from a contact form. Credit card institutions can levy fines as punishment for merchants who are PCI noncompliant and increase the fines steadily. These institutions can also fine a merchant when a data breach occurs and base the fines off of the amount of cardholders affected by the breach. One of Google's top priorities is to send their users to secure websites. They actively promote the best practices for data privacy and security to businesses on the web to emphasize the necessity of safe internet browsing. In fact, Google has recently launched a weekly tracking report of their encryption efforts to transition all of their websites and services to SSL, as well as the efforts of the web's most trafficked third-party websites. Google takes privacy and security so seriously that they now give rankings boosts to websites that strive to protect their user's information, particularly those who use SSL technology. While it is currently a lightweight signal, the use of SSL on your site can boost your SEO rankings. With time, Google also suggests that SSL may play an even larger role in rankings as they continue to campaign for a safer internet. Unsecured websites could see a dramatic drop in rankings if this occurs. SSL is not a security upgrade you opt out of or a popup ad you quickly close. The small lock sign you see in the address bar means that site strives to protect users' identities and the integrity of the business. Healthcare practitioners and their medical websites have a larger obligation to protect their patients' information (both personal and financial) than other business websites. Upgrade your medical website with SSL to help secure your patients' trust, enhance your website's legal compliance, boost your Google ranking and to convert more website visitors into patients.